It currently supports the ATmega48/88/168/328P series and the ATtiny2313. The Rescue Shield is based on my Arduino-based AVR High Voltage Programmer, but with several new features and improvements. Update: The original AVR HV Rescue Shield kit has been replaced by the new and improved HV Rescue Shield 2. Visit the HV Rescue Shield 2 product page for information about the new kit! A high quality printed circuit board with the DC-DC converter preassembled, as shown below. 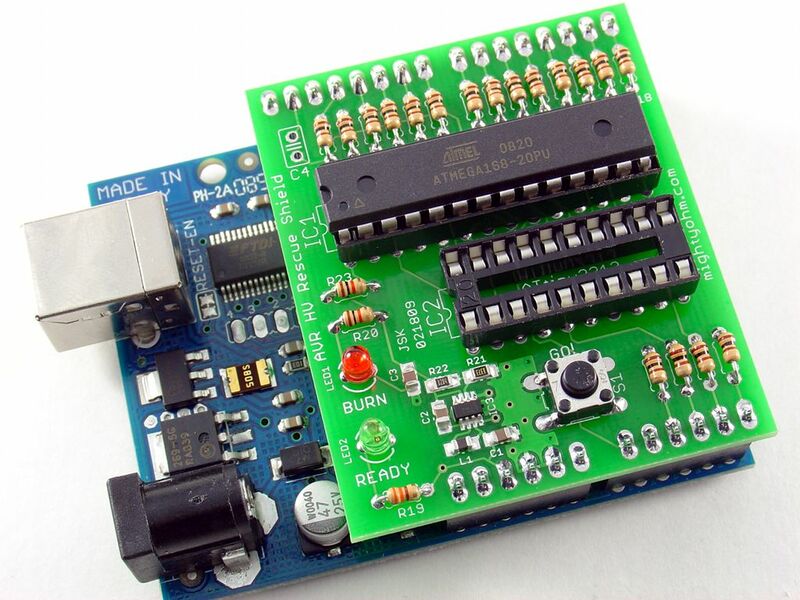 An Arduino sketch, assembly instructions, Eagle schematics and layout files. 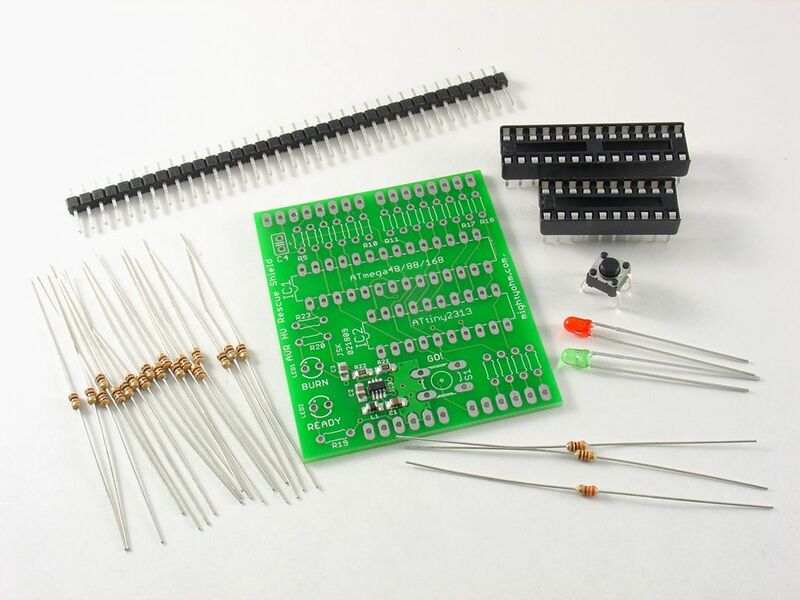 Here is a snapshot of the components included with the kit. The original AVR HV Rescue Shield kit has been replaced by the new and improved HV Rescue Shield 2. Visit the HV Rescue Shield 2 product page for information about the new kit!